Today, at AfricaCom in Cape Town, South Africa, Facebook’s Vice President of Internet.org, Chris Daniels announced the availability of Facebook’s Internet.org app for Airtel subscribers in Kenya later this week. Facebook and partners through the initiative internet.org, launched the internet.org app targeted at providing free internet services to the estimated two-thirds of the world that doesn’t have access to the internet. 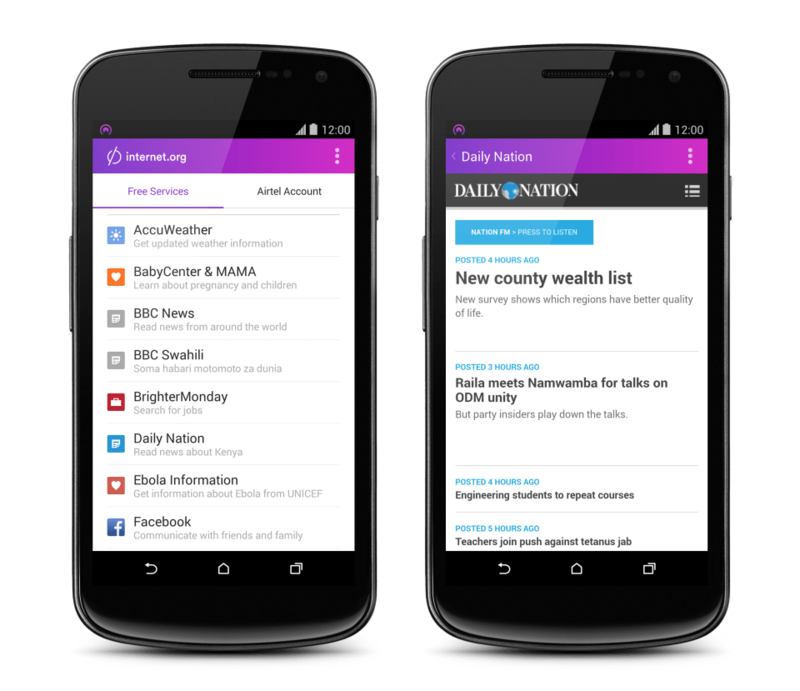 AccuWeather, BBC News, BBC Swahili, BabyCenter & MAMA, BrighterMonday, Daily Nation, Facebook, Facts for Life, Girl Effect, Jamii Forums, Messenger, OLX, Scholars4Dev, SuperSport, Totohealth, UNICEF Ebola Information, Wattpad and Wikipedia. Facebook founder, Mark Zuckerberg has a somewhat utilitarian view about internet access, he argues that all people deserve to have access regardless of where on the plan they live. It’s more than clear, concerted efforts under the stewardship of Facebook are taking off faster than expected. In a wonderful piece, this writer argues how Zuck is building an empire and why we should watch him closely. To many Africans, Facebook is summarily the internet and the conduit to information on the World Wide Web.